Artists Ben Langlands and Nikki Bell grew up commuting on the Tube. 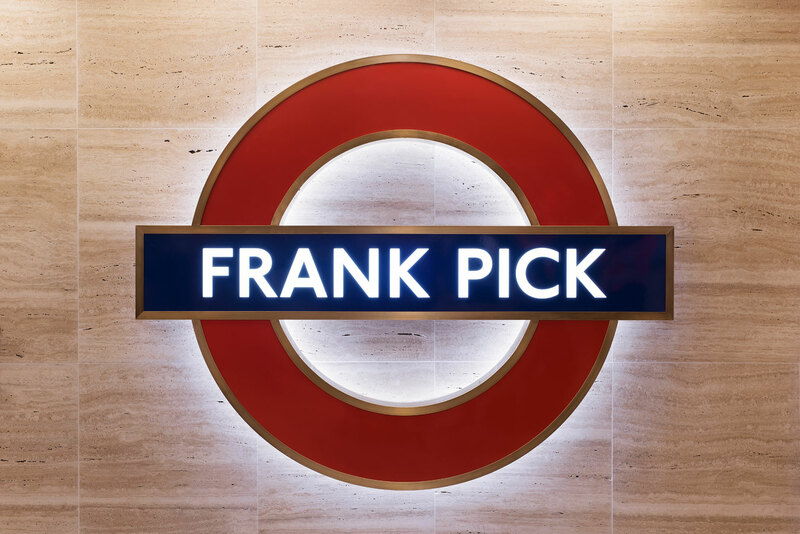 So the London-based duo were well placed to pay homage to London Underground visionary, Frank Pick, 75 years after his death, for an Art on the Underground commission at the newly refurbished Piccadilly Circus station. He adds, ’As soon as we saw this little note, no more than a doodle, we knew that Pick was a true pioneer; somebody who really knew that changing your surroundings can change your life.’ Pick’s eight, almost forgotten words form the basis of the new commission. Unveiled today, it stands on the arching outer wall of Piccadilly Circus, where astute commuters will remember a bank of now obsolete phone boxes once stood. Pick, a solicitor turned transport administrator, turned design buff, had a knack for knowing how talented creative practitioners (Harry Beck, Edward Johnston, Charles Holden, Man Ray) could best serve the city. Be it through the 1931 tube map design, building new stations, or revolutionising transport branding. Langlands & Bell celebrate this pioneering design acumen by using two renowned symbols Pick was instrumental in bringing to fruition: the Johnstons Typeface which he commissioned in 1913, and the reworked roundel which followed in 1917. The 2m high bronze letters – a new material for Langlands & Bell – are appended by the iconic roundel with ’Frank Pick’ proudly stamped inside. Langlands & Bell discovered that Pick had hastily jotted down the eight-word mantra as he waited to deliver a speech as London Underground’s first chief executive, a position he found himself in ’almost by accident’, with no formal transport training, and no background in design. Perhaps the hurried scrawling was nothing more than a pre-speech pep talk to himself, never intended to be seen by anyone else. Perhaps it was more than that – a powerful personal philosophy, that we can all learn from on our morning commute, from the man who had the foresight to intertwine London’s infrastructure with design.